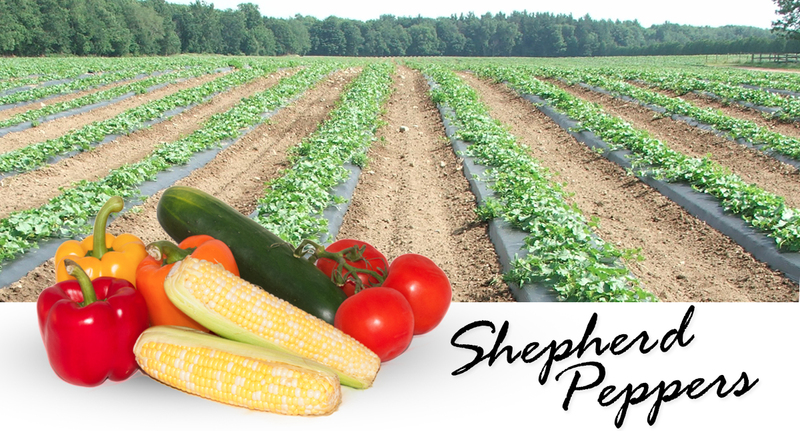 Two different species of Shepherd Peppers are produced at Nightingale farms; one is a regular Shepherd Peppers as found in most retail stores, the other is a Marconi Shepherd. The Marconi Shepherd are larger in length and diameter and do not turn completely red as do the regular Shepherd. Shepherd Peppers are intensely tasty and thinner-fleshed than bell peppers. Perfect for roasting, and stuffing, Shepherd Peppers are also great in salads, sauces and stir-fries. Contact us to place your order for zesty Shepherd Peppers.